Phoenix Wright: Ace Attorney Trilogy is coming to PS4, Xbox One, Switch, and PC in early 2019. PCGamesN has the story. 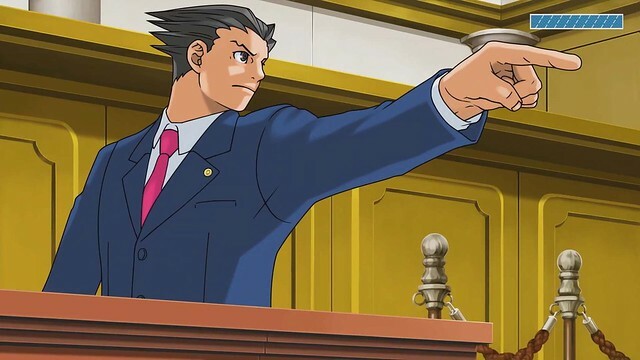 Explosive defense attorney Phoenix Wright will debut on PC next spring. Capcom will publish a new version of Phoenix Wright: Ace Attorney Trilogy, which includes the first three games in the franchise, in early 2019. The trilogy, which first appeared in 2001 on Game Boy Advance but has reappeared on mobile devices and Nintendo 3DS, includes Phoenix Wright: Ace Attorney, Phonex Wright: Ace Attorney – Justice for All, and Phoenix Wright: Ace Attorney – Trials and Tribulations. The games are ‘courtroom adventures,’ in which Phoenix Wright must exonerate his clients from false accusations. As Wright, you have to deal with lying witnesses and conflicting information, working to solve cases by asking smart questions and evaluating evidence. Capcom announced the new version of the trilogy today at the Tokyo Games Show. Pricing information was not available, but Capcom says the PC version will be available on Steam. Me too. I liked Trophies for a while, but then I realized they skewed it so the more you get the harder it is for you to "level up". Not so with achievements, you just keep boosting that number at a steady pace. They serve a great purpose for historical lookup purposes too for determining just how far you got on X game in your backlog you haven't touched in 10 years. As for Pheonix Wright: Woot! Now I feel better about never getting very far in the DS copy I had like 15 years ago. I'll buy it!